Leaving the meeting about an hour and 15 minutes after it began, Trudeau said only that it was "a good day for Canada" and that he’d have more to say to reporters on Monday. "This is a big win for the U.S., Mexico and for Canada and it fulfils one of the president’s most important campaign promises," a senior Trump administration official said. "We think this is a fantastic agreement. It’s a great win for the president and a validation of his strategy in the area of international trade." A Trump administration official deflected Sunday when asked if preserving Chapter 19 was a win for Canada. "From our perspective we think there’s really, really great things in this agreement. We’re excited about those parts of it," the official said. "We’ve achieved levels of market access, from the perspective of the U.S., that are a better deal than what the prior administration negotiated in TPP," a Trump administration official said of what former U.S. president Barack Obama squeezed out of the Canadians on the dairy front. "On the dairy issue, we have a great result for our dairy farmers ... and this was one of the president’s key objectives," the Trump administration official said. "Canada has agreed to eliminate the class 7 milk pricing system, which is something that was very problematic." "There isn’t any agreement on that at this point," a Trump administration official said. "There’s been talk about potential discussions there, but that’s on a completely separate track." Those tariffs were levied on "national security" grounds using presidential authority granted under Section 232 of the Trade Expansion Act of 1962, which gives the president broad powers to impose tariffs without consulting Congress. 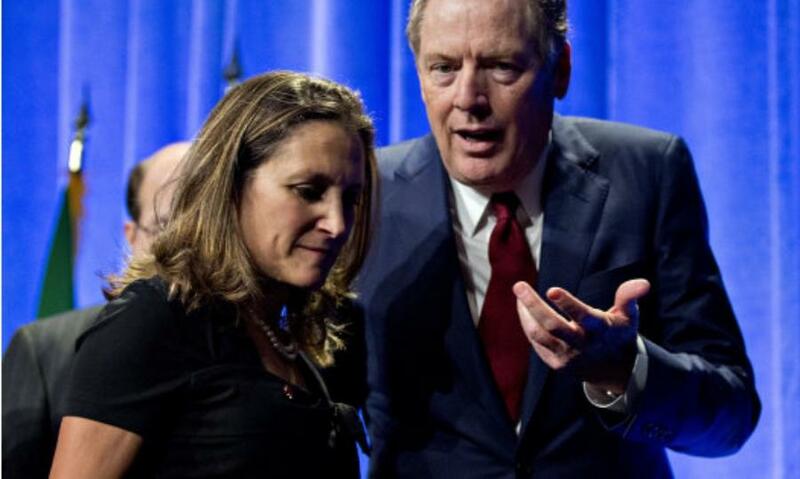 Canada responded to Trump’s move with counter-tariffs on billions of dollars worth of U.S. goods.